Operating time: Monday - Sunday (11am to 11pm) apart from Public Holidays, 2nd and 4th Sunday of every month. Want to try something which you might not ever think of it exist in Miri? Or even, you never dream of this dish will be available in Miri? Guess what. Beriani Gam is here! Situated just at the shoplots directly opposite Shell Petrol Station at Piasau/Krokop area or same row as Seahorse Bistro if you are more familiar with it. 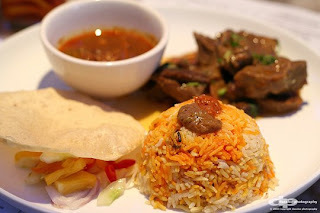 According to the leaflet at Ala-Mak, Beriani Gam which is a briyani rice dish originated from India with some cooking method but using the spice to more on Malay style. 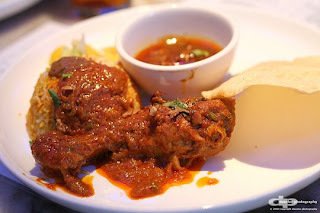 Served with flavour or meat of your choice such as beef, lamb, chicken beriani or chicken in spicy tomato sauce. On top of this you also get a small bowl of gravy to go along with rice, some pickles and a cracker which i think it is very delicious. There are much more food for you to choose and that will be covered more when i have my next visit! Service good.Menu is limited.A little bit more pricey than usual beriyani rice at mamak restaurants. I went there once, and ordered COCA COLA. 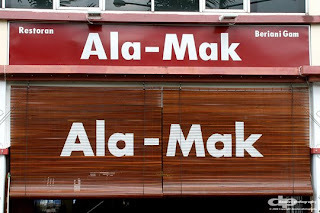 well i might say ALAMAK! cos they served my COLA in a very small mug with a very long straw. Only 5-6 sips and the drink finished, and i'm still thirsty. and it cost RM2 where else other charged RM1.60 for a can of COLA. Foods taste average. Well that is the first and the last time . Hmm, I only try their roti canai before. Not really nice. Taste like those instant roti canai sell in supermarket. And their meat serve with the roti canai not spicy enough, it cost me RM6 if not wrong. But their interior quite ok. Same observation on MiriCommunity.net. Anyway, now we serve Cola by the can. Thank you for your feedback. Went there with friends again las friday and i might say i'm very satisfied with the service and food served. Way to go Ala Mak! Went there.. hrmm for nasi briyani the price is quite expensive. And dont get me going on the taste. Not even worth the ambiance and the service level.. Please justify your price with the level and quality of food you are offering. Have you ever had beriani gam in Batu Pahat or Muar where the recipe originates? That is the flavour benchmark. 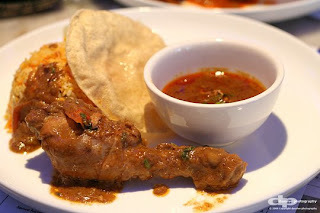 However, beriani gam fans who have been to the outlets in Batu Pahat, Muar, Putra Jaya or Shah Alam commented very well - unfortunately they are not the bloggers, but real eaters. Thank you for you comments. I do not have to justify my prices any more than you have to justify your comments. Maybe I'll convince my fellow bloggers to comment here too. Welcome to the site and i hope this column will help you a lot. Do drop by, I'll give you the WiFi password over a teh tarik! i hate the smell of smoke!sorry. If there still got shisha? 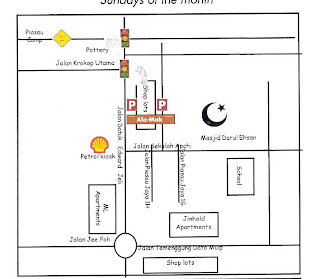 Which place are ur in miri?